[Macau, June 28, 2018] FADO of Hotel Royal Macau is excited to welcome the famous chef in Portugal, Chef João Pupo Lameiras during June 19th to July 9th, 2018. Chef João will fly in from his home town Porto to showcase an array of signature creations through a specially designed five-course wine pairing menu on July 6th, 2018. Gourmands will be able to enjoy Chef João’s take on authentic Portuguese cuisine, in which seasonal ingredients are used and presented in innovative and refined ways. 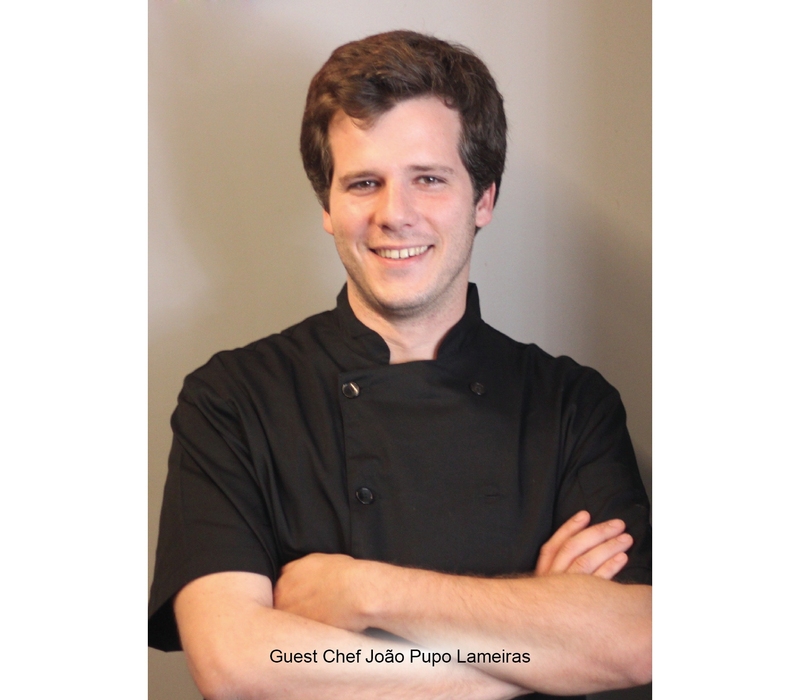 The gifted young Chef João Pupo Lameiras graduated in civil engineering in Porto. His passion and talent in cooking drove him to be a self-taught cook. He successfully established a few famous restaurants soon after his graduation, including Casa de Pasto da Palmeira, Casa de Pasto das Carvalheiras, LSD-Largo de São Domingos and Bacalhau. He also worked as a consultant in many renowned restaurants, working with many famous chefs in the country. He is often invited to participate in various big conferences and TV cooking shows. One of which is the popular TV program called “Grandes Manhãs” on Porto Canal where he appeared monthly to demonstrate his cooking tips. Chef João is also very dedicated in education. He frequently teaches in Workshops Pop-up out of his busy schedule and shares his precious experience with young people. Chef João’s expertise lies in marrying contemporary culinary techniques and typical Portuguese flavours from his heritage. Guests will embark on a five-course culinary journey with a taste of the Atlantic Ocean through Chorizo stuffed squid, shrimp sweet bread stew with cabbage and bisque, and Bread Soup with Cod and Smoked Ham. For the main courses, guests can savour Chef João’s unconventional take on the conventional Iberian Pork Fillet with Potato Clams and Escabeche, and Oxtail with Corn, Cheese Porridge and Herbs. The feast comes to a sweet conclusion with the Traditional Portuguese Fritter with Sweet Egg Cream, Cinnamon Ice-cream and Peppermint. Guests will also have the opportunity to relish in Portuguese wines specially selected to be paired with the menu to further enhance the dining experience. The heartily curated five-course menu by Guest Chef João Pupo Lameiras at FADO is priced at MOP 680* per person. For reservations and enquiries, please call (853) 2855 2222 ext. 142.